Are you thinking about buying a subcompact SUV? 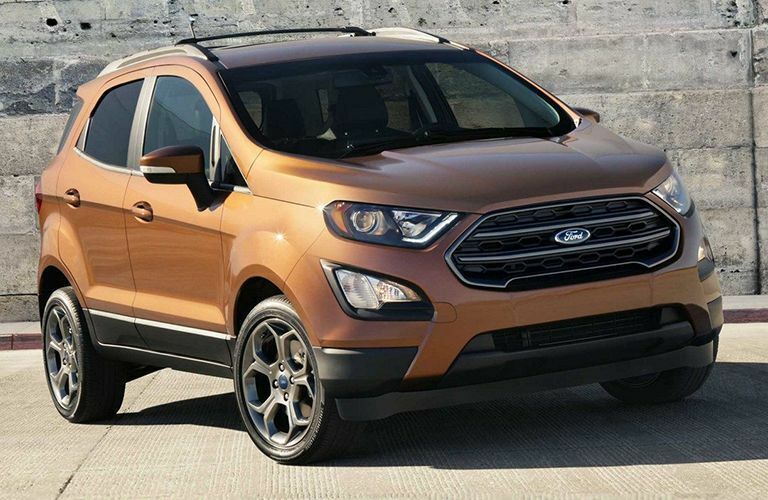 The 2019 Ford EcoSport is a superb choice, with its pleasing driving characteristics, comfortable and versatile interior, high-level utility, and advanced connectivity technologies. Take a look at this 2019 Ford EcoSport vs 2019 Mazda CX-3 comparison to see how the new EcoSport measures up against the subcompact SUV competition. On the performance front, the 2019 EcoSport outmuscles the 2019 CX-3 with its available 2.0L I-4 engine, which doles out 166 horsepower and 149 lb-ft of torque. The 2019 CX-3 only manages 148 horsepower and 148 lb-ft of torque. With a length that is nearly 18 cm shorter than the CX-3, the EcoSport is more maneuverable. While the CX-3 is not equipped for the towing, the EcoSport has a maximum towing capacity of 1,400 pounds (635 kg). Also, unlike the CX-3, the EcoSport comes equipped with gas-charged shocks, which makes it more suitable for off-road use. 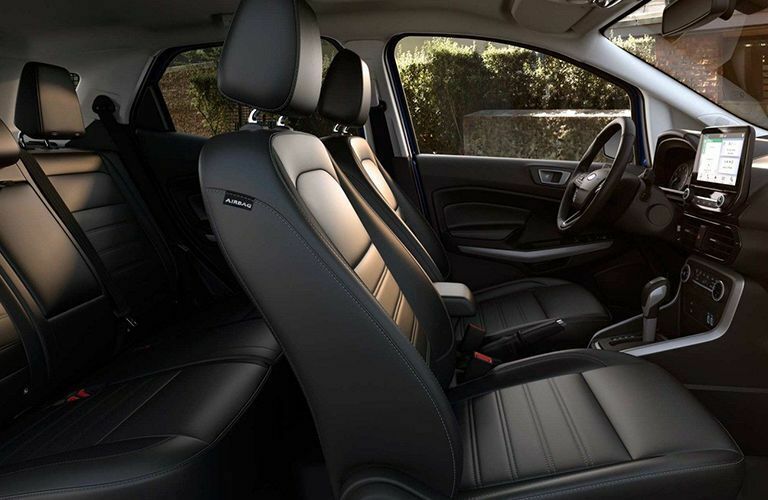 Despite its shorter length, the EcoSport has more space inside the cabin, with a total passenger volume of 91.1 cu-ft (2.57 cu-m), compared to 87.6 cu-ft (2.48 cu-m) for the CX-3. Also, the EcoSport offers more storage space, with a maximum cargo capacity of 50 cu-ft (1.42 cu-m), compared to 44.5 cu-ft (1.26 cu-m) for the CX-3. Another strength of the EcoSport its wide array of advanced connectivity technologies. 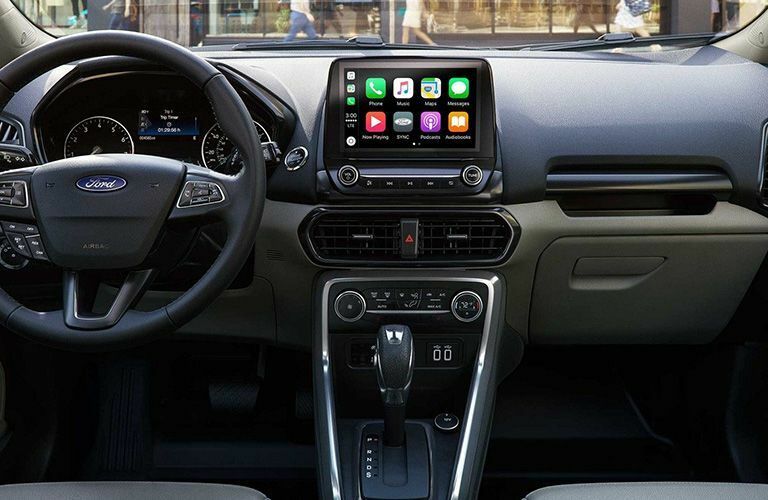 This includes Apple CarPlay and Android Auto smartphone integration, an in-vehicle Wi-Fi hotspot, FordPass Connect, USB charging ports, and Ford+Alexa. 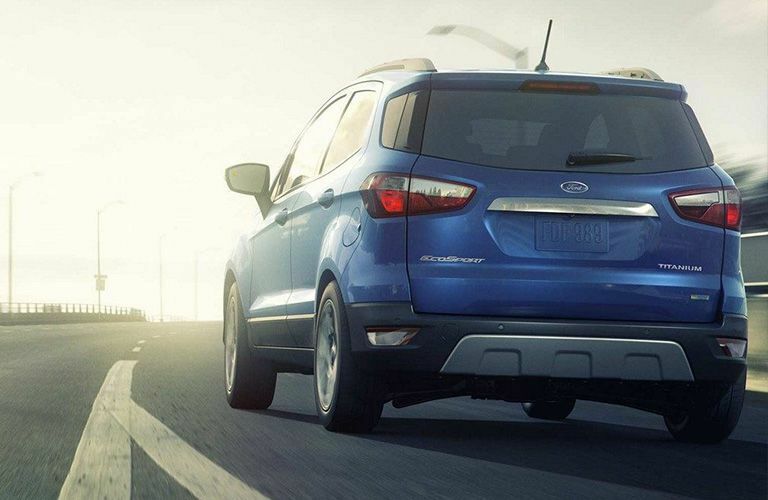 Here at James Braden Ford, we invite subcompact SUV shoppers in Eastern Ontario to get behind the wheel of the 2019 Ford EcoSport!